Now that I’ve exhausted all of the nice Mercedes-Benz R129s currently on the market, I wanted to wander over to the R230 to see how things are going with the first SL with a folding hard top. The R230 was a giant leap forward in terms of styling and technology compared to the R129 as now the normally boxy and square roadster suddenly didn’t have a flat edge on the entire car. It was what needed to be done to keep the car relevant in the new millennium with the legacy buyers coming back as well as capture the hearts of all the new money buyers that wanted a sleek roadster that didn’t feel like an old man or woman’s car that was driven to the country club on a Sunday morning to play golf. It is tough to stay that Mercedes didn’t succeed in that as even now that the R230 is 17 years-old, it still doesn’t look or feel that age. Sure, some of the tech is dated, but getting in of these cars doesn’t scream ”this car can legally buy cigarettes next year” old. 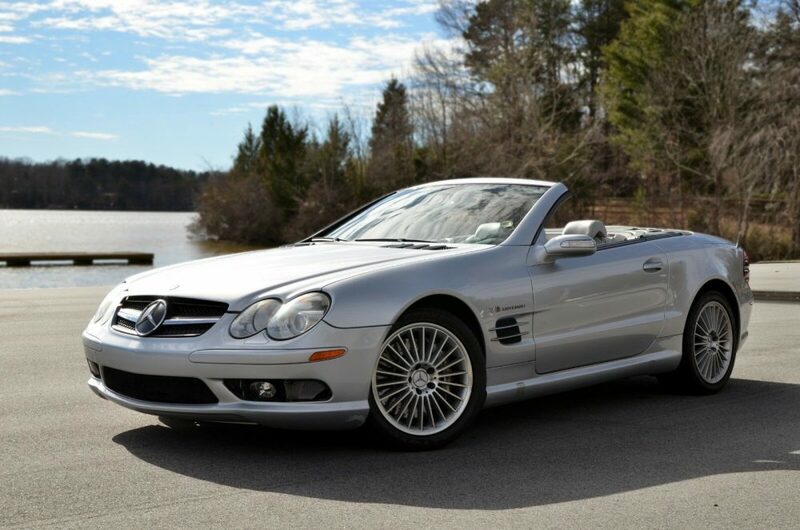 Of course, with the introduction of the SL500 and V12 SL600 in the R230, Mercedes stepped up their game in the US market by giving customers the SL55 AMG that was a hit as soon as they landed on dealer lots. A 0-60 time in 4.4 seconds thanks to 493 horsepower and 520 lbâ‹…ft of torque, the SL55 wore the crowd of the fastest automatic transmission car in the world for a short time before the big brother SLR came on to the scene in 2003. The SL55 continued to be the model of choice over the more expensive V12 SL600 until it was replaced by the SL63 in 2008. The SL65 AMG joined the lineup in 2005 with its twin-turbocharged V12 making an insane 604 horsepower and 738 lbâ‹…ft of torque, but also carried a price tag starting at $185,000. Needless to say, the SL55 remained the best bang for the buck at a still very expensive $115,000, but was a bargain compared to competitors Ferrari 360 and Aston Martin’s DB7 Volante in terms of both purchase price and cost of running. Today, the SL55 sits in that no man’s land of not old enough to be considered a classic and not modern enough to be considered by people who want to be impressed by a bunch of tech. Add in the fact that the running costs can scare some people off, a Corvette seems like a much better buy for the convertible crowd who take Sunday cruises to the Daily Queen. What does that mean for prices on these beasts? Very good things if you are willing to commit to owning one. At least this example up for sale in North Carolina proves that. When it rains, it pours. 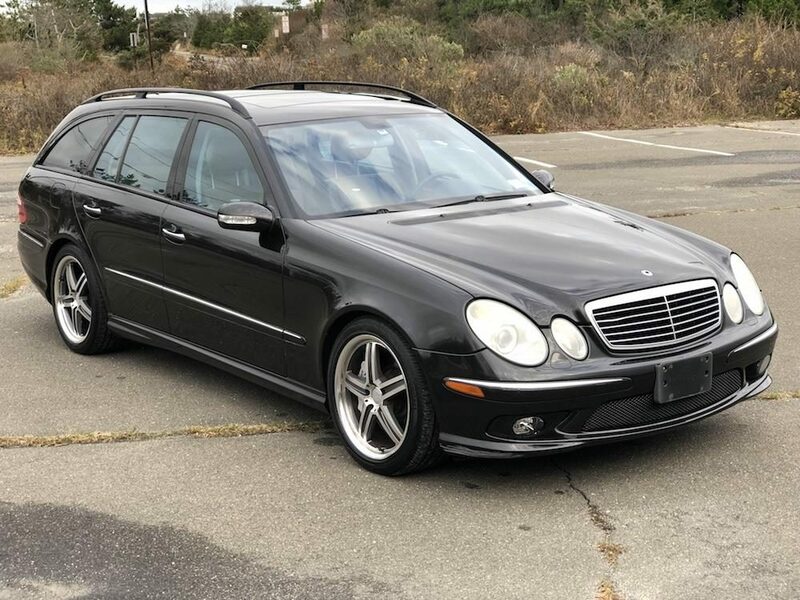 For a vehicle that North American only saw 192 of, I have come across three W211 Mercedes-Benz E55 Estates for sale in less than three weeks. Last week it was a 2005 in The Hamptons that needed some help and the week before that it was an even rarer 2006 also in New York that was replaced by a Ferrari FF. Today, we have another 2005 that is up for sale in sunny Jacksonville, Florida that thankfully looks to be in prime shape. This S211 painted in Brilliant Silver Metallic checks in with 145,000 miles and thanks to a few little Mercedes software tricks, has some nice little features that I don’t see all that often. Last week I looked at a 2006 Mercedes-Benz E55 AMG Estate that drew quite of bit of reaction from the comments. I say that as a good thing because most were pretty happy with the condition but thought the price was a little high (which I can say I don’t really disagree with). 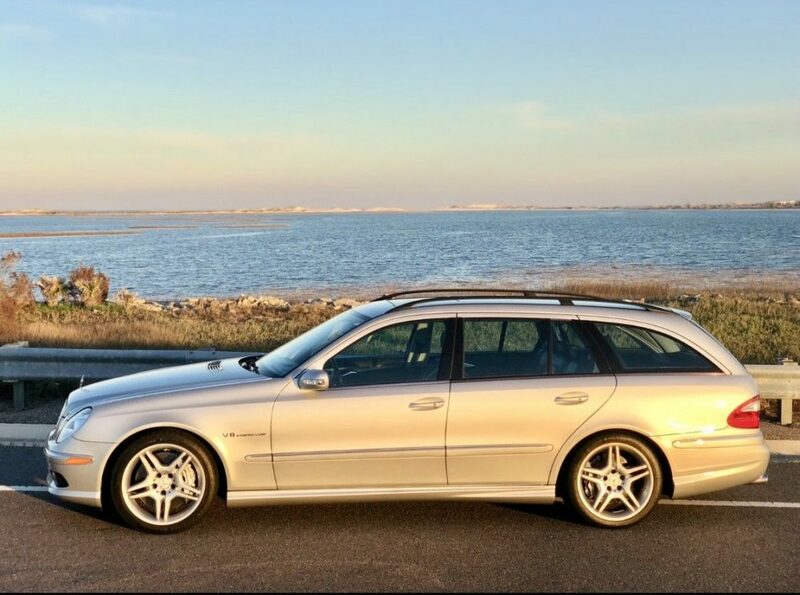 Well wouldn’t you know it, another W211 E55 AMG Estate popped up for sale with even fewer miles, in the same area and an even a cheaper price. I thought this might be an answer to what everyone was looking for. There’s just one slightly big problem with this one though: it is by far the worst condition E55 Estate I’ve ever come across. During my daydreams I always try to run through my head what relatively modern Mercedes-Benz is going to desirable and collectible in the near future or beyond. I’ve racked my brain plenty of times and the list I always come up with usually isn’t very long. It is not like there are not a bunch of good cars out there, but almost every one of them is a mass-produced vehicle that was made to be the best for the first few years then discarded quickly for whatever is new. That is how the entire car business is now and I don’t think it is going to change any time soon. It is even more true with newer AMG cars because their astronomical running costs just don’t make it feasible to keep long-term. 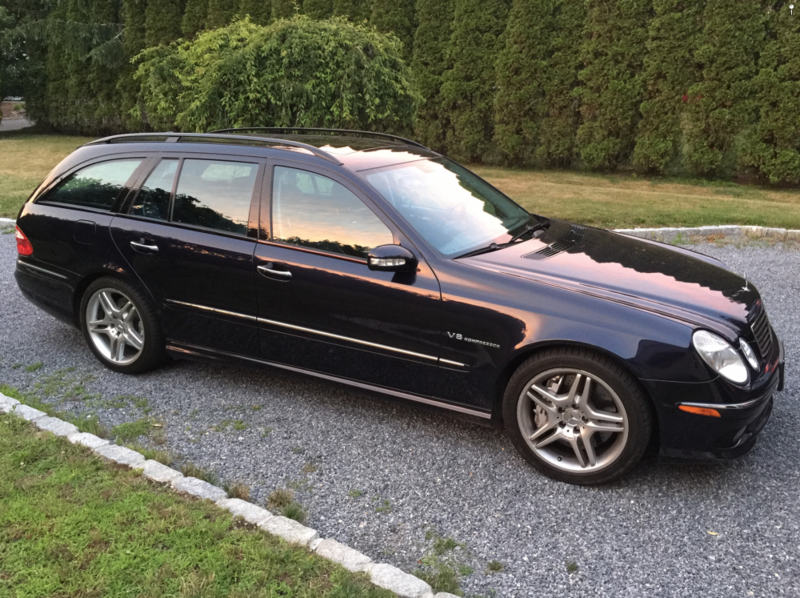 Of course, there are exceptions to everything and one of those exceptions is the W211 E55 AMG Estate. The combination of the M113K in an estate body, which everyone seems to love, has proven to be one of the most desirable Mercedes of the past dozen years or so. It isn’t just because it is a wagon, because AMG keeps blessing the US market with these super wagons, but rather it is reasonable enough to live with when it comes to repairing and maintaining this estate. 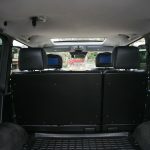 Thus, demand stays high, prices stay high and you have a vehicle that will go down as a young classic. This 2006 up for sale in New York is just one of these examples and given its price and mileage, is probably a pretty good deal. A number of weeks ago I looked at aÂ heavily armored 1995 Mercedes-Benz S600 that was built for none other than the Sultan of Brunei. It was anÂ 8,700 pound tank of a car that probably is on par with some tanks as to how much combat fire it can withstand. Today, I came across another literally bulletproof Mercedes that can handle everything just short of armor piecing rounds. 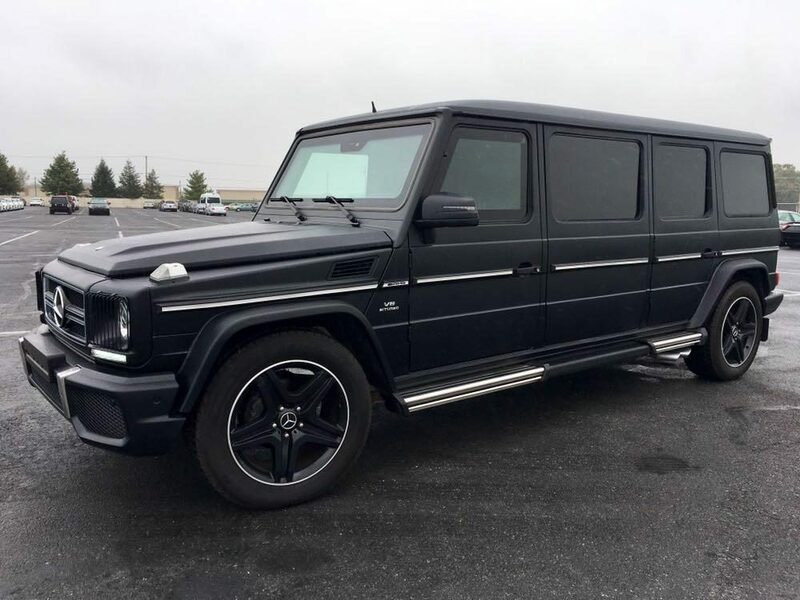 This 2011 G55 AMGÂ that is built to a B6 level of armoring is originally a vehicle from the Middle East and somehow is now in California. 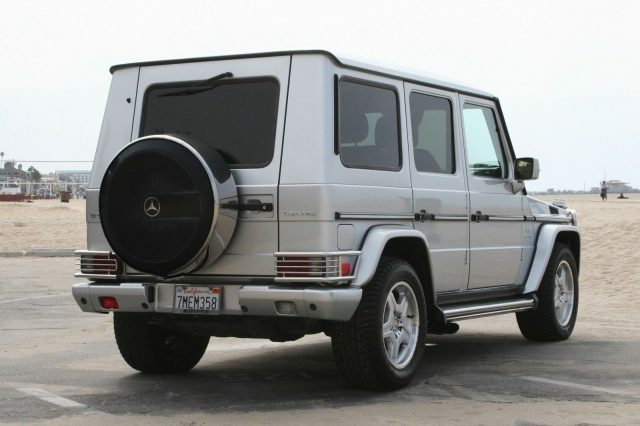 Just like the S600 you would think that this is just another standard G55 that is hopping aroundÂ Los Angeles. Then you open the doors to see that clearly isn’t the case. I have a kind of love-hate with the Mercedes-Benz W220. The design of the S-Class from the W140 to the W220 was like high school senior who is just starting out in life to now a post-grad with an office job who realizes that this will be his life for the next 40 years. Everything is a little bigger, a little softer, not quite as handsome, but now you have some kind of money to spend on things like screens that will be obsolete in three years. Nothing wrong with that and totally acceptable, but the S-Class was now firmly blended in with the BMW 7-Series, Audi A8 and Lexus LS. There was some hope for W220 if you really wanted a full-size sedan to separate yourself from the rest and that of course came in the facelifted S55 AMG. The styling was much more aggressive thanks to some different bumpers and a quad exhaust setup, but the real gem was under the hood with the M113K. 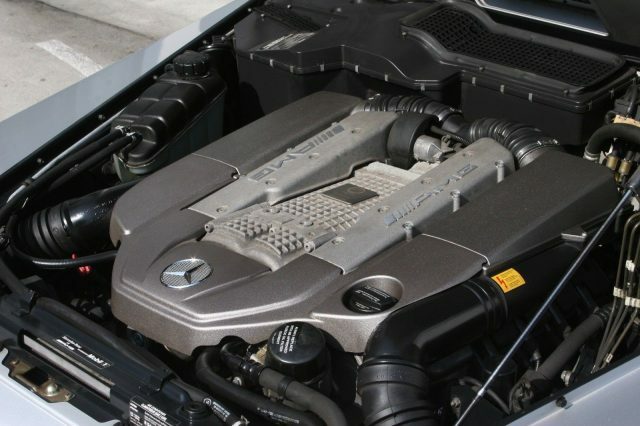 This engine was a gem the day it debuted in the E55 and SL55 in 2003 and to this day is a favorite by many for its relative reliability and ability to make huge power numbers. Now that we are well over a decade into the M113K existence and the regular W220 can be had for the same price as a gourmet pizza, finding an S55 AMG for not much money at all isn’t a problem. Although that doesn’t mean that all problems are solved, especially when it comes to maintaining these monsters. This 2004 up for sale outside of Chicago is no different. Earlier this week I checked out a 1994 Mercedes-Benz E320 Cabriolet with just 6,700 miles on it with a price tag on it that had me running the other way. Today, we have another low mileage Mercedes, but this one is a little different style and a lot more power. 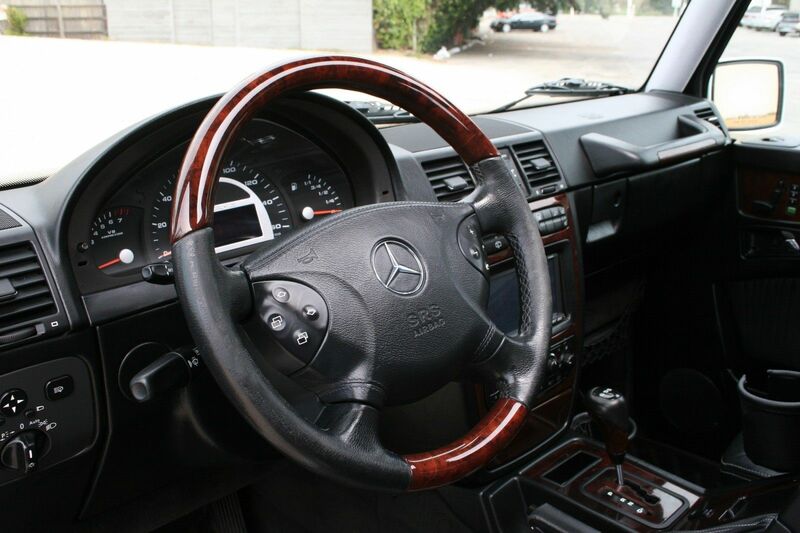 This is a 2005 E55 AMG for sale in the Bay Area with just a little over 21,000 miles. 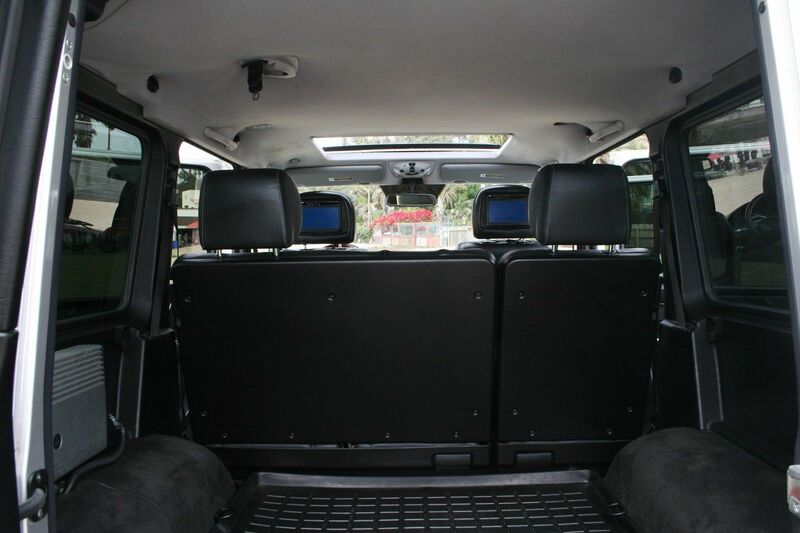 It’s painted in the awesome Midnight Blue with black leather interior and my favorite trim,Â Birdseye Black Maple. 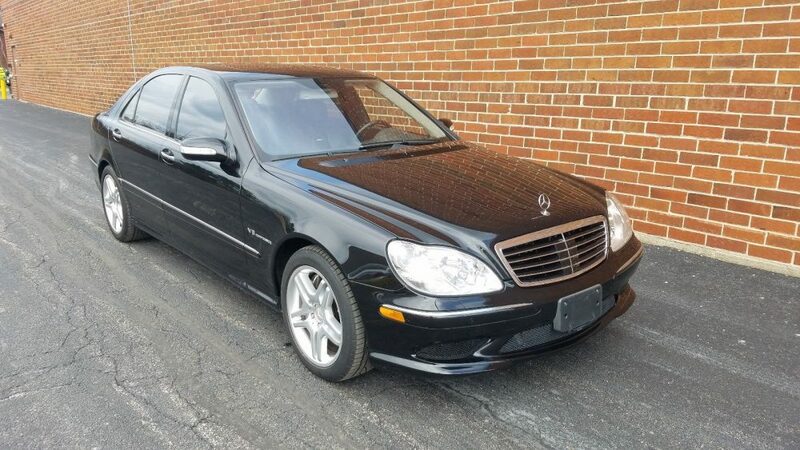 Now that most of these W211 E55s have passed their 10th birthday, these supercharged sedans haven started to get really cheap compared to their original $75,000 price tag when new. But as for this car? Sadly you won’t be able to snag it up for $11,995. Not even close. In my opinion, custom body work can either go really good or really bad. Those who know what they are doing usually put out some unique stuff. Those who don’t know what they are doing put out work made of nightmares. 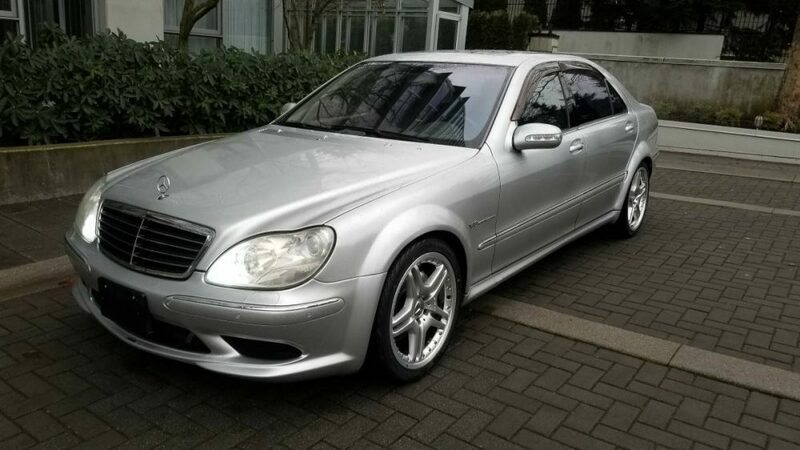 Luckily for everyone, this 2003 Mercedes-Benz S55 AMG for sale in Vancouver, Canada, has some custom body work that actually looks pretty good. 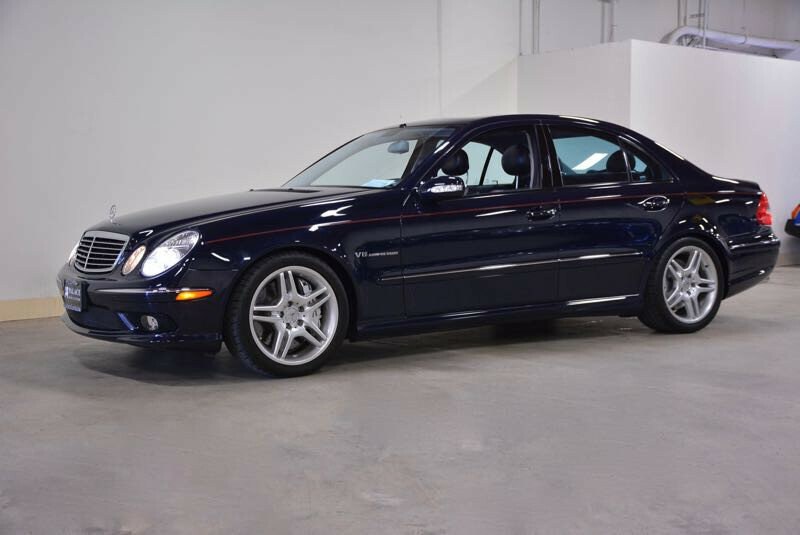 Normally, the bodies of the mid-2000 AMG cars don’t have much of a flare to them, but this seller of this specific car had something to say about that. This S55 had the front the rear fenders pulled out by a decent amount to give it the look of a CLK63 AMG Black Series. The more I look at this car, the more I appreciate it, but I can’t decide if I really love it or not. 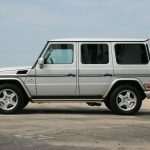 Last week I checked out a really cool short wheel base right hand drive G500 in the UK and explained that you can basically have a G-Wagen any way you want it. Well, today’s G is another way get your kicks and if you haven’t noticed, this one is quite a bit longer than the last G I checked out. 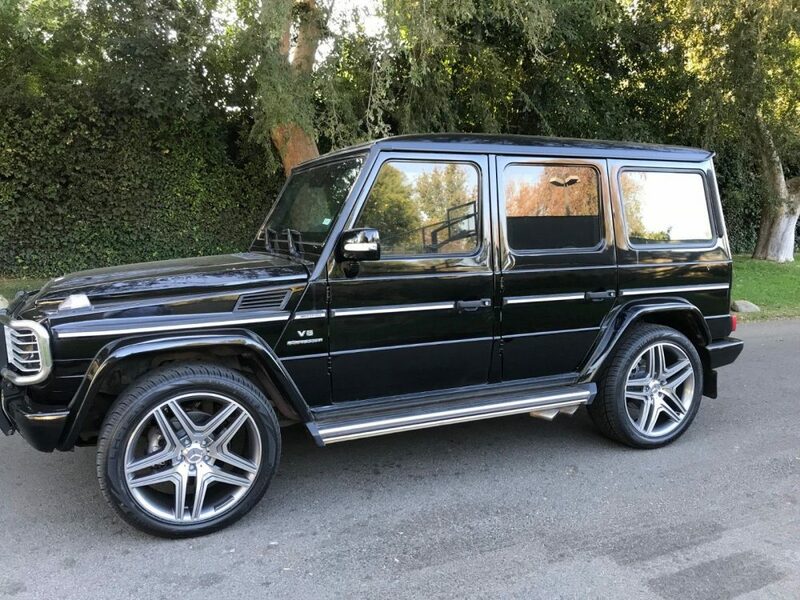 This is a 2005 G55 AMG that has been stretched and of course, updated with the G63 bumpers, wheels and badges that seems to be all the rage now. The stretching sadly wasn’t a factory job and because of that I’m going to stop short of calling it a true Pullman and instead go with the more tradition term of limousine. Although this stretching job looks really well done, I do have a couple of questions and one big red flag. 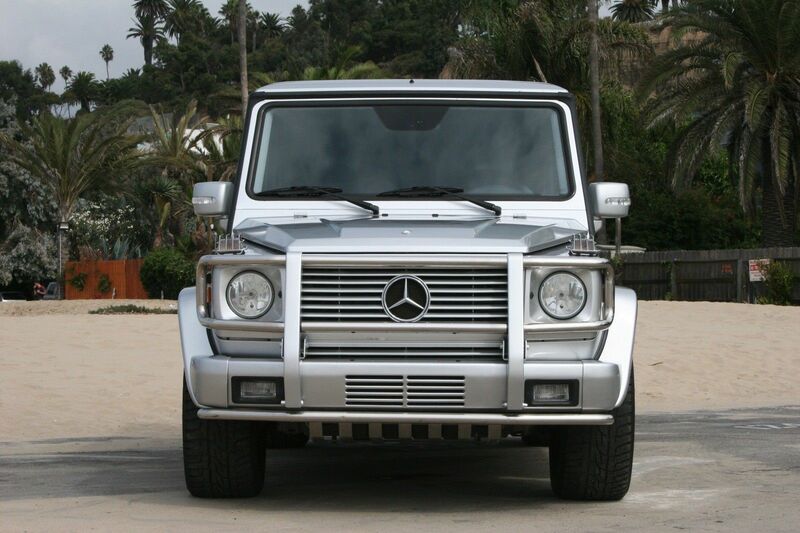 As misunderstood and misused as they are, I love the G-Wagen. What started as a utilitarian military vehicle has now evolved into pieces of sheer opulence. 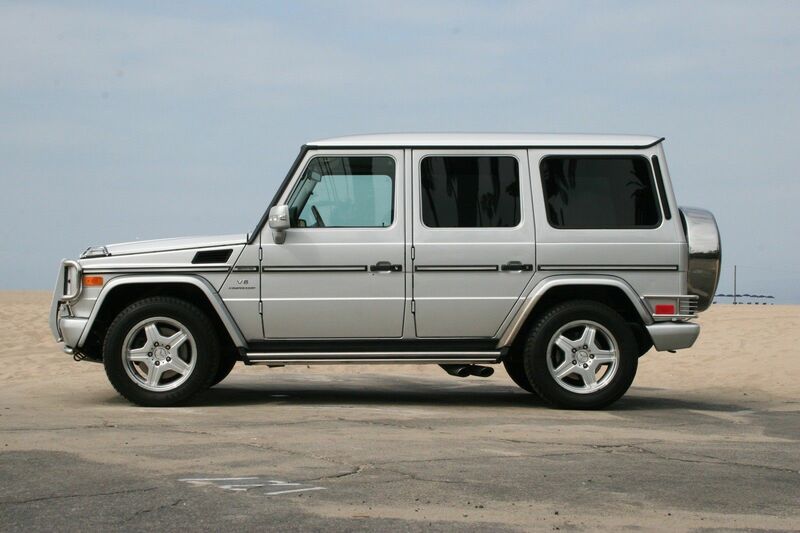 One of those early examples of that decadence was the G55 AMG. 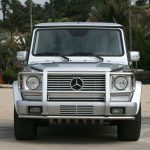 Mercedes and AMG were throwing the supercharged M113 engine into anything with a Mercedes badge and, common sense be damned, they put it in the G-Wagen. At almost 470 hp and even crazier 516 ftÂ·lb of torque, this G hits 60 mph in about 5.5 seconds. A mere 5.5 seconds in something that weighs over 5,500 pounds. Thank goodness for AMG brakes that come in the package, too! 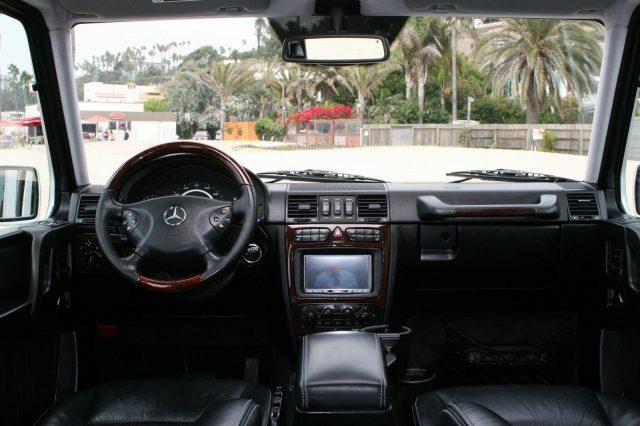 First off, what a great use of the DVD function in the aftermarket headunit to show a scene with GeorgeÂ Costanza in SeinfeldÂ while shooting the photos for this G. I think the seller knew exactly what they were doing and had a little chuckle doing so. Speaking of the photos, these are outstanding. But they are basically all for naught when you write zero description in your listing. 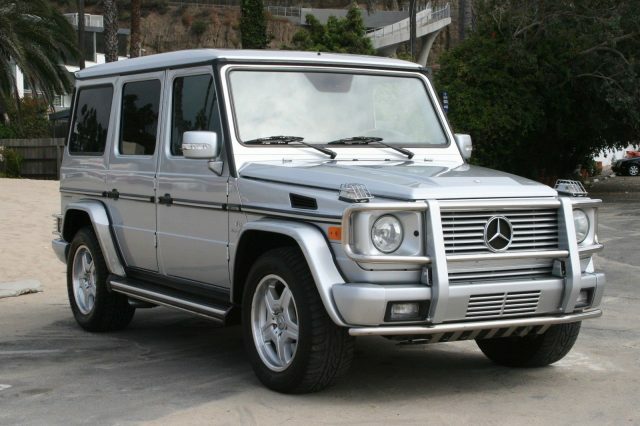 Seriously, this listing tells me nothing about what is going on with this G55. You spend the time and effort to go shoot all these photos and follow it up with nothing. This looks like a great W463, but I can’t assume that. I realize that if you are really serious you pick up the phone to call the seller to really dig into what this thing is all about, but it drives me nuts the lack of effort to sell something this expensive. The only thing a littler odd is the black rear tire cover, which isn’t factory. The correct matching cover is only a $200 part, so it is a little odd to keep the black. How expensive? $42,995. To me, that is a really fair price for what looks like a real winner. The G55 is a rare beast and I generally prefer the M113K paired with the 722.6 5-speed automatic transmission as a proven combination over the later models. Like every G, the residuals are unmatched in the luxury SUV segment and I don’t see that changing any time soon. Yes, the market will soften over time as more and more of these make their way onto the used market, but I think demand for these will almost always be greater than the supply. Maybe it’s just my own terms of justification on this, but I feel like when you sink money into a G, it’s not like you are throwing it down the hole never to be seen again. I don’t mean putting 24 inch wheels on them, I mean spending the money on proper maintenance and repairs. You can buy one of these and drive it for a few years then turn around and sell it without losing five-figures in deprecation. And if you need one that has 470 horsepower, well go right ahead.